Chinese Reconciliation Park along the Ruston Way waterfront in Tacoma is a great spot for portraits. During this shoot, the tide was in, filling the Grotto of the Tides with blue-green water that pairs well with the rusty rocks that lead down to the water's edge. 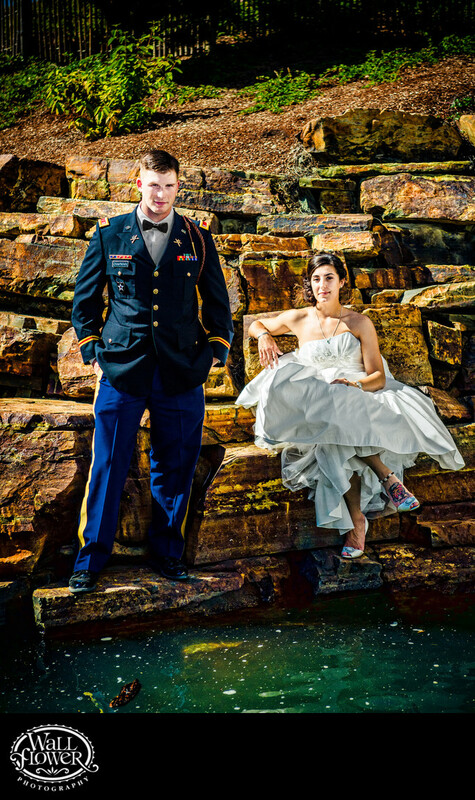 The bride and groom dared to scamper down to the lowest set of rocks to strike this cool pose.